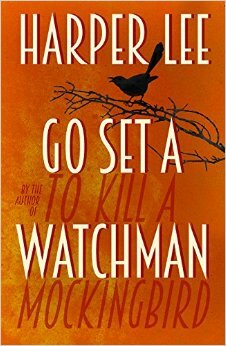 I've just finished reading Go Set A Watchman, the newly-published novel by Harper Lee (the name comes from the Book of Isiah in the Old Testament). Like most teenagers in the 80's, I studied Harper Lee's To Kill A Mockingbird at secondary school. This book is written in a very different style and voice: Jean Louise "Scout" Finch is now a twenty-six year old woman rather than a ten year old girl and sees her father Atticus and the racism of the American South very differently when she returns to the small town of Maycomb, Alabama, from New York. Go Set A Watchman reads like a sequel to the 1960 Pullitzer Prize-winning To Kill A Mockingbird but is actually an earlier first draft of it: it just shows, as other s have said, how important an editor can be, in this case advising Lee to expand the childhood flashbacks and tell the story through Scout's youthful eyes.